Kara Gae Wilson-Neal has extensive experience in education including working as a teacher, Principal and Superintendent of Public Schools in Broken Arrow, Glenpool and Tulsa County. She was also Superintendent of Metro Tech Technology Centers in OKC and Superintendent/CEO of the Tulsa Technology Center, the state’s largest Career Tech District. Dr. Neil served two years as President/CEO of the Volunteers of America before she resigned in July 2012 to become the Director of the School of Urban Education at the University of Tulsa that focuses on preparing educators to meet challenges in classrooms of cultural diversity and economic disparity in a technological world. She is a Fulbright scholar and holds a doctorate in Administration and Education Leadership from the University of Tulsa, an M.A. in English and a B.A. in History, both from Oklahoma State University. Dr. Neil was inducted into the Oklahoma Educators Hall of Fame in 2015. Terrie Shipley is an Independent Educational Consultant who works with high school students to help them choose the educational path that will best reach their academic and personal goals. Dr. Shipley's degrees include a B.S. in Journalism and a B.A. in Political Science from Syracuse University, a M.A. in Education from Michigan State University and a Doctorate in Educational Administration ( Ed.D.) from the University of Oklahoma. Dr. Shipley is also active in the Tulsa community and is the Associate Director of the Youth Philanthropy Initiative and has served as the Board President of the Mental Health Association of Oklahoma and was previously recognized in Oklahoma Magazine as one of the “Top 40 Under 40,” a group of the best and brightest young business and professional people in the state. Terrie is also a YPNG Mentor. Jim Langdon and his wife Juley Roffers are the owners of Langdon Publishing Company in Tulsa, a magazine and newspaper publishing business they founded in 1986. The city magazine has received 130 state and national awards for its editorial and design excellence, and community service. The company also publishes Intermission, the monthly magazine of the Tulsa Performing Arts Center; The Tulsa Voice, a bi-weekly alternative newspaper; the Tulsa Guest Guide, an annual in-room hotel book; and custom publications. He was presented Leadership Tulsa’s highest honor, the Paragon Award, in 2007 for his volunteer leadership to the Oklahoma Center For Community and Justice (OCCJ), of which he later served a term as board chair. He currently serves on the boards of the Tulsa Community College Foundation, Saint Simeon’s Home Foundation, OU-Tulsa Advisory Board, OCCJ, the MOSAIC.Jim received an Army ROTC commission at OU in 1974 and served 10 years as a Public Affairs Officer in the U.S. Army Reserves. An OU grad in 1974, he received the JayMac Distinguished Alumni Award from the OU School of Journalism in 1999; was named a Distinguished Graduate of Northern Oklahoma College in 2006; a Distinguished Alum of Tonkawa High School in 2012; and was inducted into the Oklahoma Journalism Hall of Fame in 2006. Angela Harless is a managing partner at AcrobatAnt, an independent advertising agency she and four others formed in 2008. Angela was previously recognized in Oklahoma Magazine as one of the “Top 40 Under 40,” a group of the best and brightest young business and professional people in the state. Angela had always been active in the community and is currently involved in a number of volunteer organizations including Meals on Wheels and Women in Recovery, an innovative organization that helps women facing long prison sentences for non-violent offenses become productive, tax-paying citizens so they can break the cycle of recidivism. Her degrees include an MBA from the University of Tulsa, a bachelor’s degree in finance from Northeastern State University and an associate’s degree in business from Tulsa Community College where she has been recognized as a “Distinguished Alumni” by the TCC Alumni Association.Angela is also a YPNG Mentor. Premadonna Braddick was recently selected by the YWCA and Mayor’s Commission on the Status of Women as a recipient of the 2018 Woman of the Year Pinnacle award. 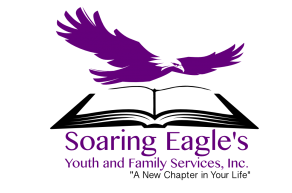 Among her many accomplishments, she created Soaring Eagles Youth and Family Services Inc., a nonprofit where their mission is to help individuals and families re-write their stories to help them live a self-sufficient, holistic, and rewarding life. She currently works as a Behavioral Health Counselor specializing in crises counseling, depression, anger-management, and marriage counseling. Premadonna is a prime example of someone overcoming less than desirable circumstances. She was born and raised in the foster care system in East Oakland, California from age two to eighteen and spent the early years of her life dealing with depression, low self-esteem, and a poor self-image. But she was surrounded by mentors who offered guidance, wisdom, and inspired her to pursue her purpose in life and understands the importance of mentorship. She has a Bachelor’s of Arts Degree in Communication with a Minor in Theatre of Arts from San Jose State University and is also an alumnus of Oral Roberts University, where she earned two Master’s of Arts Degrees in Marriage/Family Therapy and Christian Counseling. She’s a member of Delta Sigma Theta Sorority and former member of Kappa Phi Beta Honor Society. Mrs. Braddick was featured in Tulsa People Magazine and has appeared on Tulsa TBN Praise the Lord and several other community radio and television talk shows. Francisco Treviño has advocated for the improvement of the general conditions of the Tulsa Hispanic community and worked with our local schools to develop educational opportunities for Hispanic children for the last thirty years. 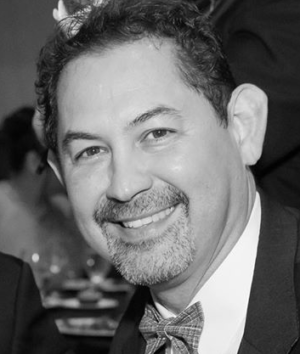 Francisco served eleven years as the President of the Tulsa Hispanic Chamber of Commerce where he helped develop Hispanic businesses while portraying the positive impact of the vast culture of the Latin traditions and continues to work on issues relevant to Tulsa’s Hispanic community. He recently left the Chamber and joined the Board of the Tulsa Global Alliance, a multi-program, culturally focused, Tulsa-based non-profit that hosts international visitors, facilitate Sister City relationships, promote global education and economic development, collaborates with international organizations, and serves as a resource for area governments, businesses, educational, institutional, organizations, and residents. Francisco is also a professional photographer and musician and active member of the Catholic Diocese of Tulsa. 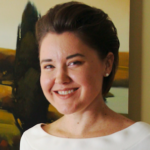 Kate Bates is the managing partner of her family's company, Silvey Estate Sales. Previously she enjoyed a 13-year career in nonprofit fundraising. Kate held development positions at the Newberry Library in Chicago and Girl Scouts of Eastern Oklahoma, and served as Director of Development for the Tulsa Library Trust and Tulsa’s Gilcrease Museum. Kate is a Candidate for Membership in the International Society of Appraisers. She also enjoys expanding her knowledge of antiques and collectibles through books, online resources, and attending other estate sales, antique markets, flea markets, and galleries. A graduate of Tulsa’s Booker T. Washington High School, she holds a B.A. in Arts Administration from The University of Tulsa. Following her college graduation, she spent a semester abroad in Paris, where she completed the French Language Certificate from the University of Paris-Sorbonne. In addition to serving on the YPNG board, she was a founding member of the board for The Pencil Box in Tulsa, a past member of the leadership team for Tulsa’s Young Professionals, and supports a number of organizations including Youth Services of Tulsa, Gilcrease and Philbrook Museums, Public Radio Tulsa, FabLab, and the National Parks Service. Kate's hobbies include writing, wood turning, and singing in a band, Kate & The Burdens. She and her husband, Ely Bates, enjoy travel, cooking and entertaining, and spending time with friends and family, which includes cats Billy Joel and Leon Russell, and dog, Charley. Bill Langdon is the President and Founder of YPNG. He is a retired businessman whose background includes positions with a major New York investment bank, a large agribusiness company and Vice President of Finance of a Tulsa chemical company. In 1983, he started a financial services firm and later he and a partner formed an oil and gas acquisition and development company they sold in 2007. He began developing the concept for Young People of the Next Generation after conversations with many college graduates and high school students who were discouraged about their career prospects as a way to provide them the information they need to choose a good career path and to help them develop strategies to fund their post-high school education. Mr. Langdon holds a BA and MA in Economics from the University of Toledo and is a Viet Nam combat veteran.